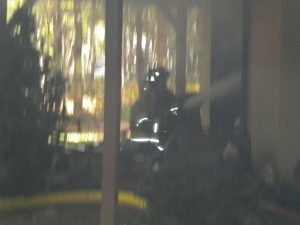 Lake Harmony was called to assist Penn Forest Township on a working dwelling fire on Towamensing Drive in the Towamenshing Trails development. The request was for tankers first. 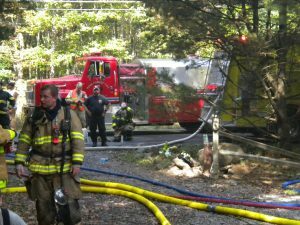 Tanker 1731 arrived on scene quickly and pulled a 3″ supply line to Engine 1210, who was set up right in front of the dwelling with several hand lines being placed in service. 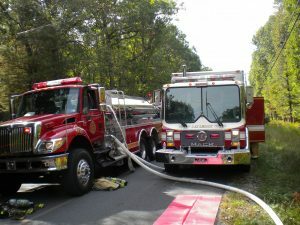 Additional tankers then fed Tanker 17 as we continued to feed the first attack engine. Rescue 17 made its way through the backlog of tankers to set up a fill site near the tanker to fill SCBA bottles. 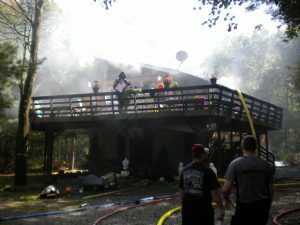 Lake Harmony units were on scene for 4 1/2 hours.